Available on Redbubble, Society6 and TeePublic. This entry was posted in Art! 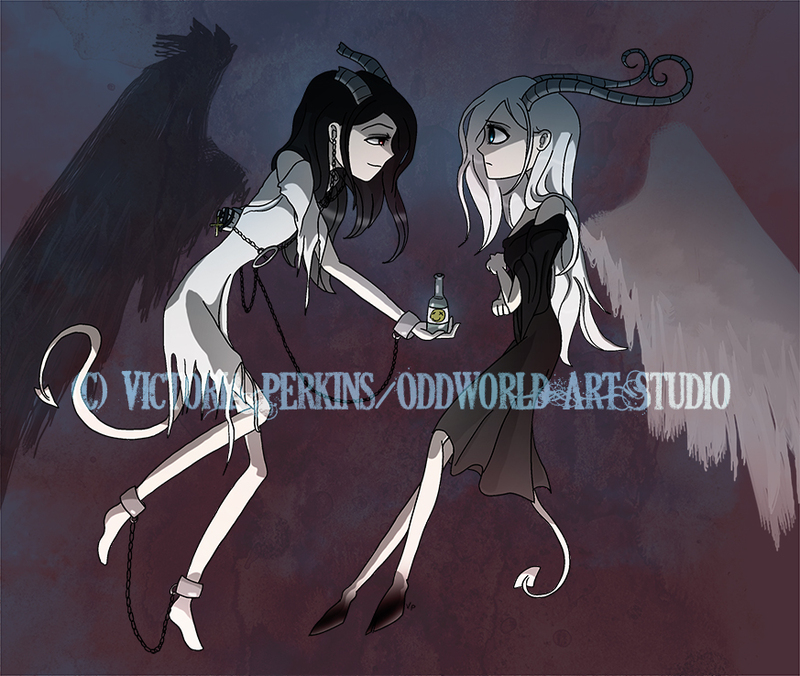 and tagged angel, art, black, blue, chains, dark, demon, girl, horns, odd, oddworld, poison, red, twins, victoria perkins, white, wings, yang, yin. Bookmark the permalink.